Pasta is one of America’s favorite foods. Last year, 1.3 million pounds of pasta were sold in American grocery stores. If you lined up 1.3 million pounds of 16 oz. spaghetti packages, it could circle the Earth’s equator almost nine times! The first commercial pasta plant in the U.S. was founded in Brooklyn, New York in 1848 by a Frenchman! By 3,000 B.C., the Chinese were eating noodles: long and flat, wide or thin, made with wheat, corn, rice or peas. Italians swear, however, that pasta was in Italy long before Marco Polo’s first trip to China (the first in 1255). At least 10 years before Marco Polo's trip to China, Romans were eating ravioli, lasagna and macaroni, and there are references to fettuccine from even earlier than that. What is durum wheat and why is it used to make pasta? Durum wheat is a hard wheat that when milled properly produces high-quality semolina. It is high quality because semolina has proteins in it that contain elevated quantities of gluten. These attributes, along with the compact structure of semolina, allow our Pasta to maintain its cooking consistency, delicious flavor, and al dente texture. How do you judge good quality pasta? The quality of pasta is very dependent upon the kind of wheat used and the manufacturing process. We uses a blend of the finest durum wheat to produce the semolina that makes our pasta. Are there other ways to tell good quality pasta? Yes, you can tell just by looking at it. Good pasta will have a unique yellow color. Properly grown, stored, milled, and dried, pasta will have very few defects such as black specks, white spots, or cracks. During cooking, the pasta will not clump together or form surface stickiness, and it should have good texture and elasticity upon chewing. Visually the pasta should be an amber yellow color, uniform in size and shape, and without grayish or reddish shades. Quality pasta will have a pleasant taste and aroma, and always cook al dente. What is a recommended serving size, and is this for cooked or uncooked pasta? The recommended serving size is 2 ounces of uncooked pasta, which equals approximately 1 cup of cooked pasta. What is the best way to cook pasta? Always use plenty of water when cooking pasta – at least one quart of water for every quarter pound of pasta. Be sure to use a large enough pot to allow the pasta plenty of room to cook properly. 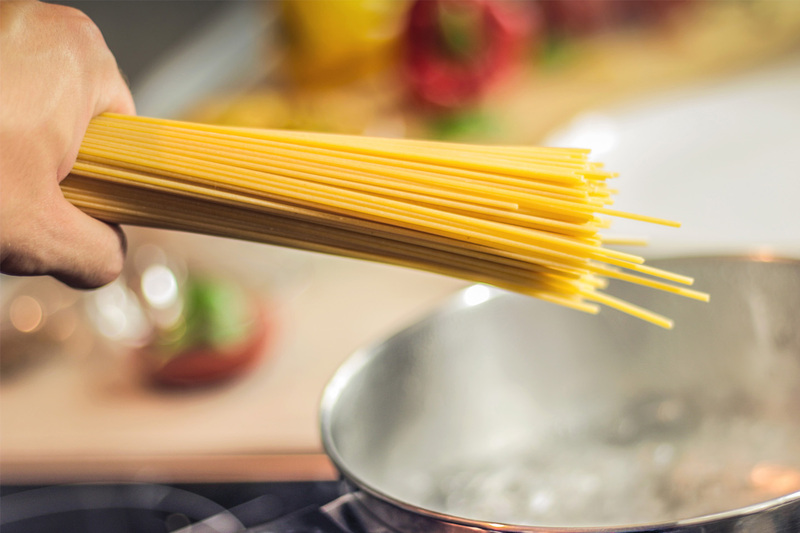 The typical procedure for cooking pasta is to bring 6-8 quarts of water to a boil; add salt; add the pasta, and cook according to the package directions. For our Pronto, no boil, no drain pasta, cook entire box of pasta with 3 cups of water in one pan, over high heat. Typical cooking time for Pronto pasta is about 10 minutes, but please refer to instructions on the package for complete cooking time. Draining is not needed. Why is cooking pasta al dente so important? Pasta should not be rinsed after cooking. This method was utilized to rinse excess starch off the pasta. 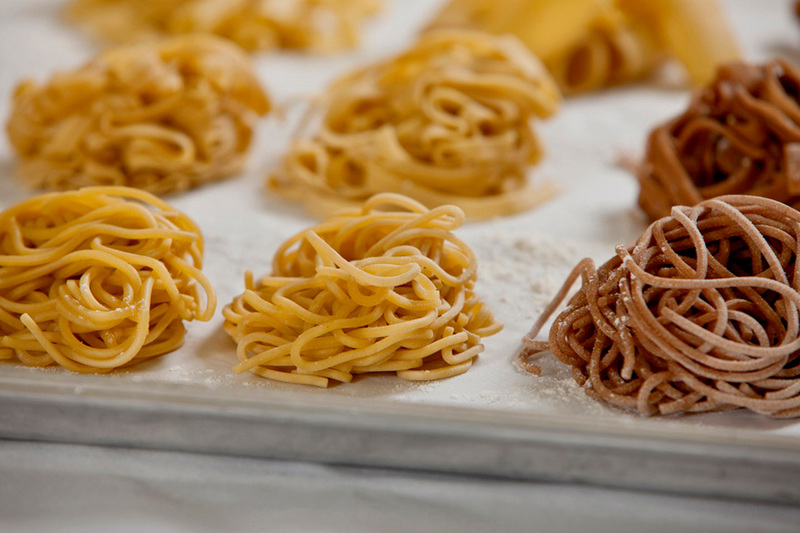 When poor-quality wheat is used, the pasta releases too much starch and sticks together. Because Barilla pasta is made with high-quality durum wheat, the natural starches released from our pasta complement the pasta meal. These starches allow the sauce to adhere to the pasta better. Is Pasta a healthy food? What is the 'Double Pyramid' of food? 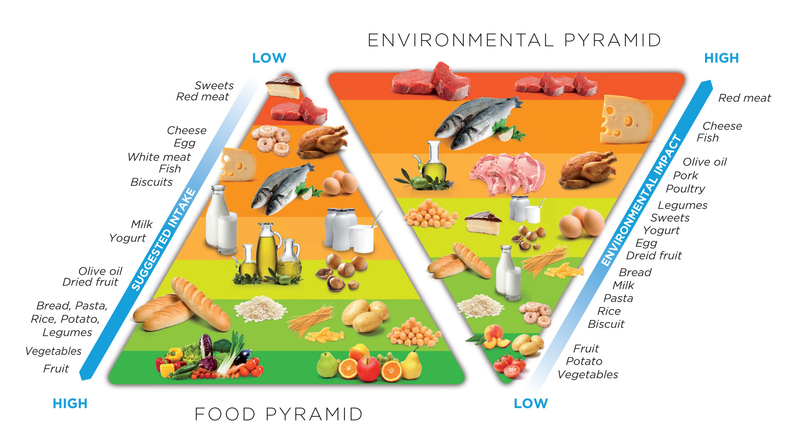 Eating according to the Mediterranean Diet pyramid and producing goods in a sustainable manner. 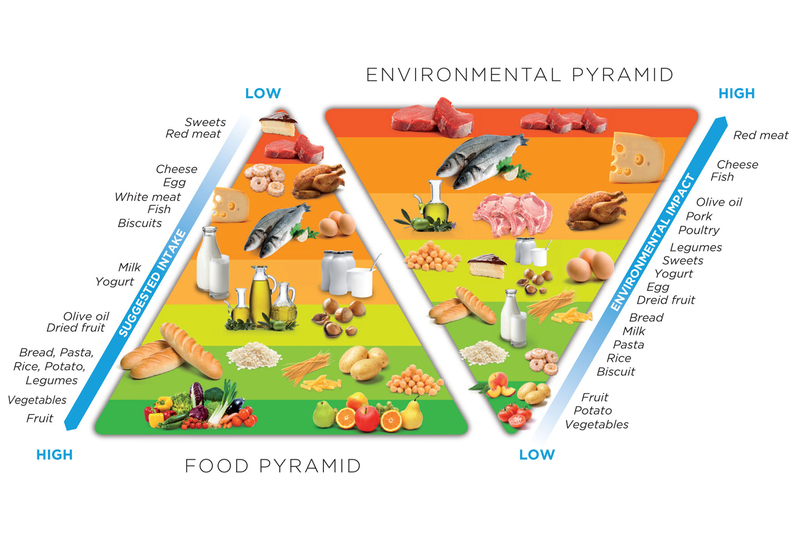 It is composed of the Mediterranean Diet food pyramid and the environmental pyramid. It was created to demonstrate that the food that should be eaten most frequently for people’s wellbeing is also the food which has a lower environmental impact, that is, food whose production uses less of the Planet’s resources in terms of greenhouse gases, water and land surface to regenerate the resources used.